Are you considering a high-end custom Kitchen or Cabinetry. We are equipped to provide you with a range of high end solutions for your kitchen or any other project. With access to amazing materials and high end equipment we can provide you with the custom design and fitting you require. We even produce custom formica bench tops in house in any size shape or colour. 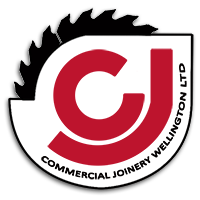 Commercial Joinery offer and extensive range of high quality options to fulfill your kitchen and cabinetry dreams. With a wide selection of options for draw mechanisms, handles, draw fillers and even lighting options. Let us know what you want and we will help you to choose the right solutions to meet your needs. We specialise in a wide range of materials from traditional wood to modern pressed laminates, vacuumed sealed, laminates and laser edged products. Formica, Laminex, Melteca you name it we can get it. 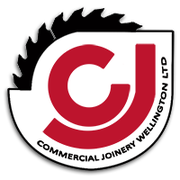 We will strive to find the right, hard wearing solution for your kitchen and cabinetry. Bench tops come in a wide range of colours, shapes and materials and we strive to make any option available to our customers. From Marble,Granite, Quartz and Engineered stone, Formica, Bamboo, Wood and more. We can source, fit and ensure your kitchen is finished with the ideal surfaces to suit your needs. We have a wide range of available draw mechanisms from normal close to soft close and everything in between. We can help you to select the right hardware for your draws and cupboards to support your weight, look and style requirements. Bins, pull out units, baskets you name it. We can do it.